The Rockies are known for the great glaciated hut-to-hut traverses: the Wapta Traverse and the Yoho Traverse (or the “Bow-Yoho” Traverse as it’s also known). 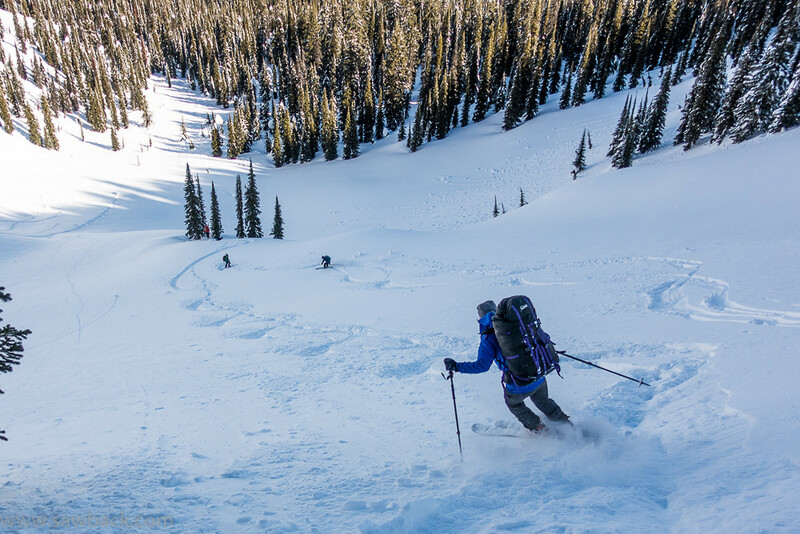 Deep in the Kootenays is a completely different kind of trip, the Bonnington Traverse. 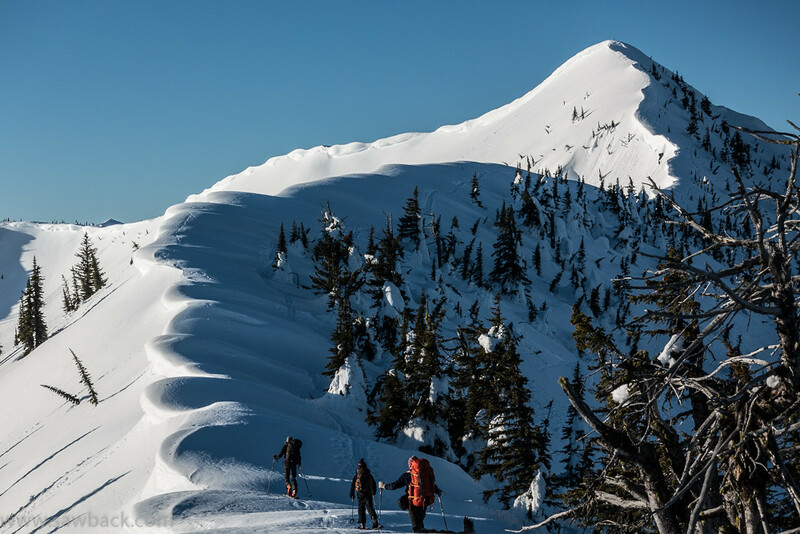 This is a 3-day (with heli-drop) or 4-day traverse that links alpine and sub-alpine ridges from Ymir all the way to Porto Rico, just a few minutes drive south of Nelson. 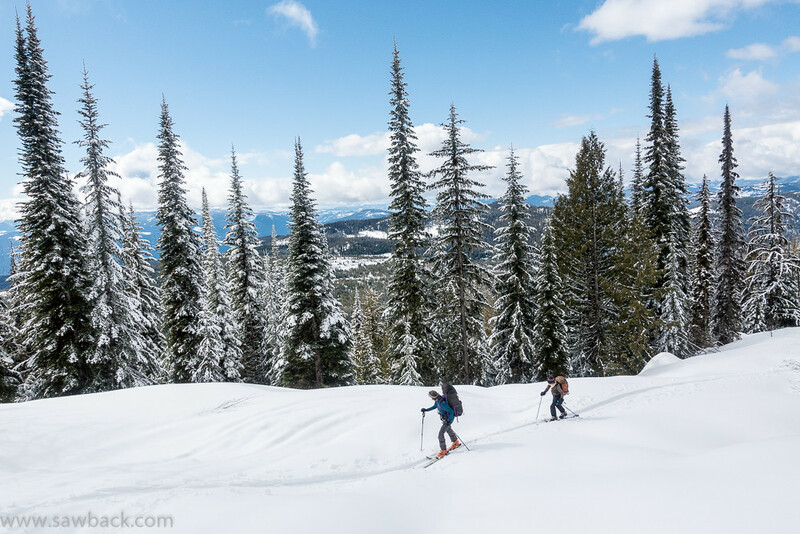 Hut to hut ski touring in the Kootenays: The Bonnington Traverse! 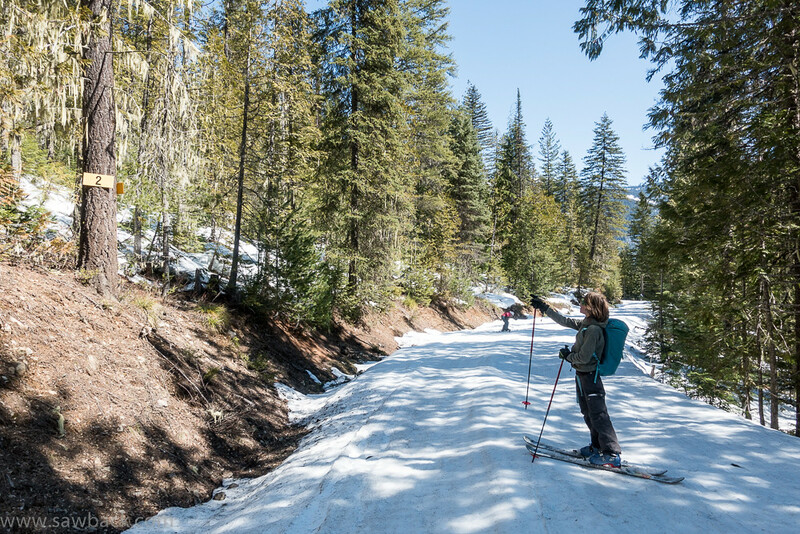 Due to its lower elevation, this trip is a good choice in a wider range of mid-winter weather. The exception being when pineapples roll in (warm wet storms) or late in the season — early April is about as late as you ever want to try the Bonnington. It’s non-glaciated — meaning lighter packs! 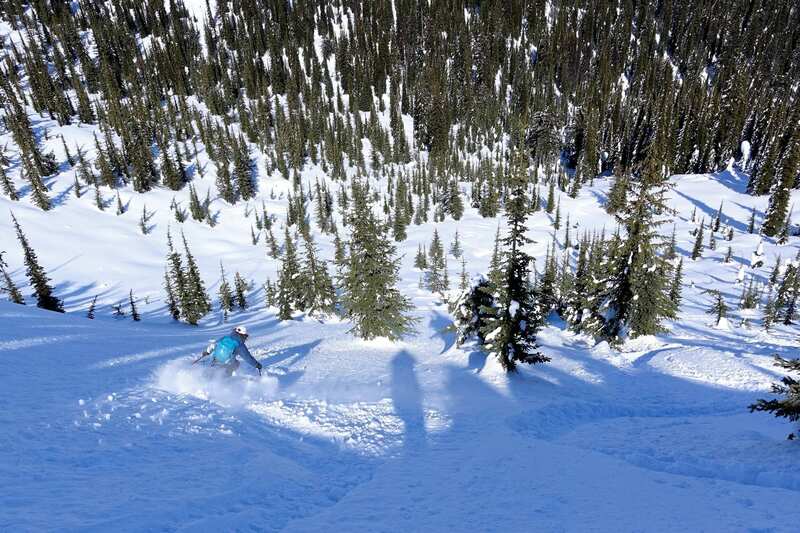 — but has a lot of great treeline and bowl style skiing. 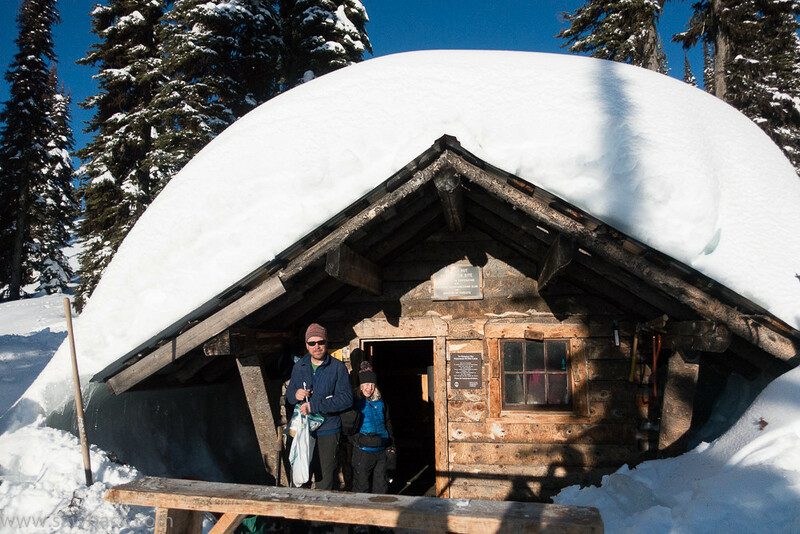 The huts are small, quaint and cozy, fitting a half dozen ski tourers comfortably. I really enjoyed doing this trip in April 2016. 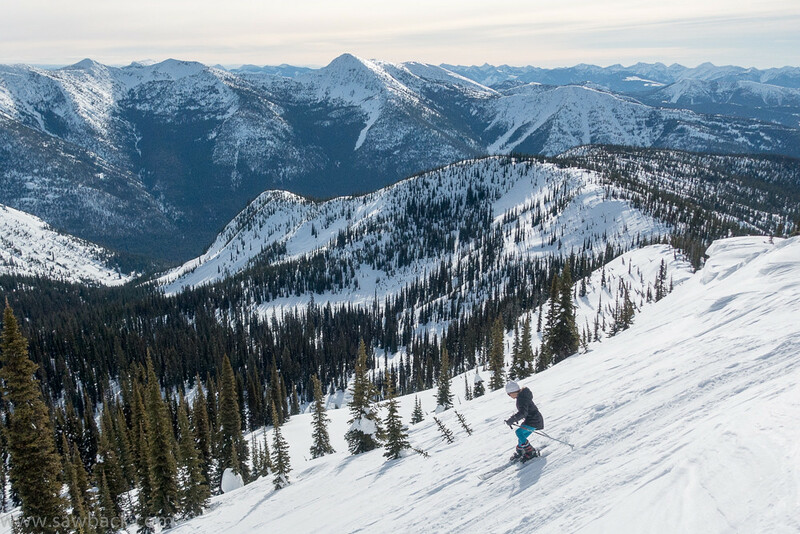 The skiing is excellent, and it really is a Kootenay classic for the bucket list. Looking for a high glaciated traverse? 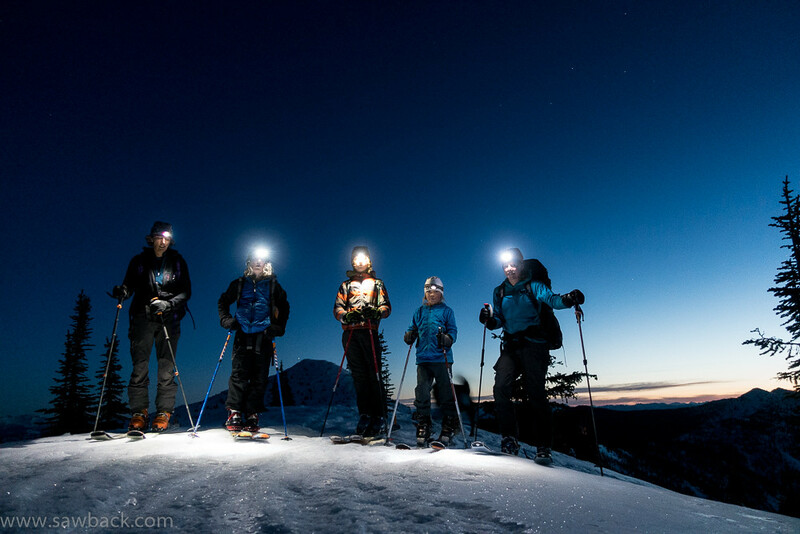 Our Bow-Yoho Traverse, for example, is an incredible 5-day ski tour in the high alpine of the Wapta and Yoho glaciers in Banff National Park. Or, check out our Current Trips for a complete listing. Dates: December through the first week of April. No later! This is a custom trip, contact us to set up a date for you! 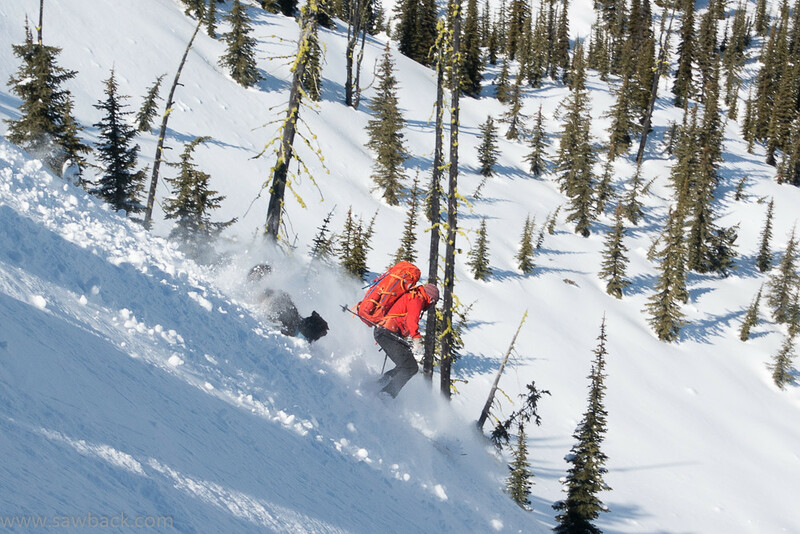 Cost: 3-day heli-drop: $1275 CAD/person includes heli-drop. 4-day self-propelled: $1175 CAD/person. 4-person minimum group size. 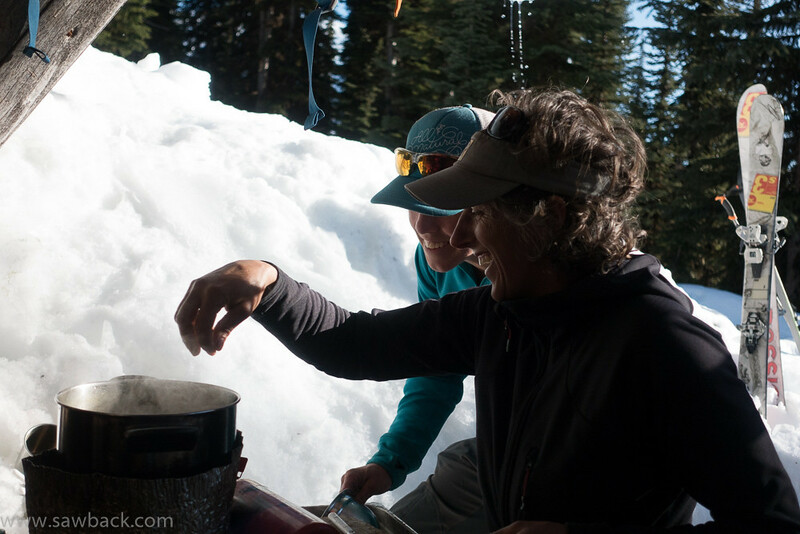 Includes: All meals, pre-trip planning, certified guide (ACMG and/or IFMGA), hut fees, shuttle from Nelson, group equipment. Does not include: Personal equipment rental, trip cancellation/etc insurance, GST. Weather: Early winter, late winter and spring conditions can all vary dramatically. Especially in early winter temperatures can get as low as -20C and in spring as high as +10C. Expect temperatures somwhere in the middle — -12C to +2C — but be prepared for the extremes. Backpack, 50 to 60 liters max, with rain cover (i.e. garbage bag) and outside straps to attach skis. Spare long underwear, extra socks, etc. 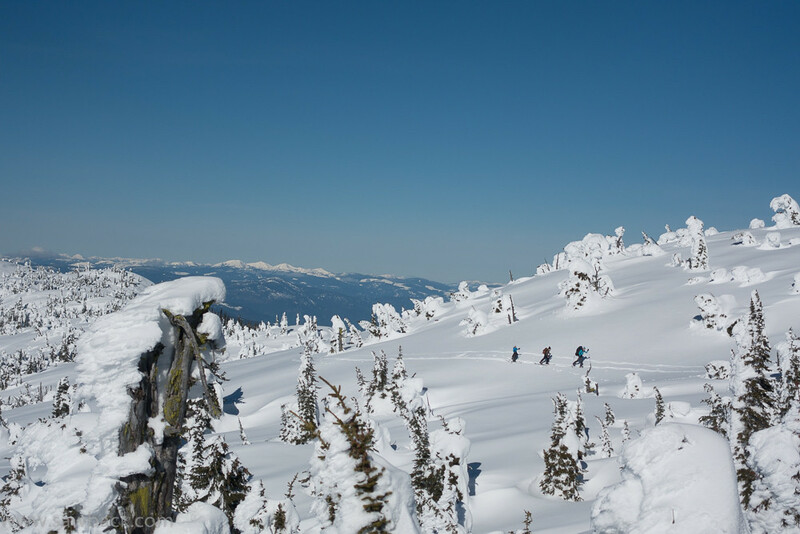 Day 1 – From Castlegar we will enjoy a short helicopter flight to Grassy Ridge. From here there are a number of excellent ski descents to hit on way to Steed Hut, our first night’s stop – a nice, deluxe hut in a great location. 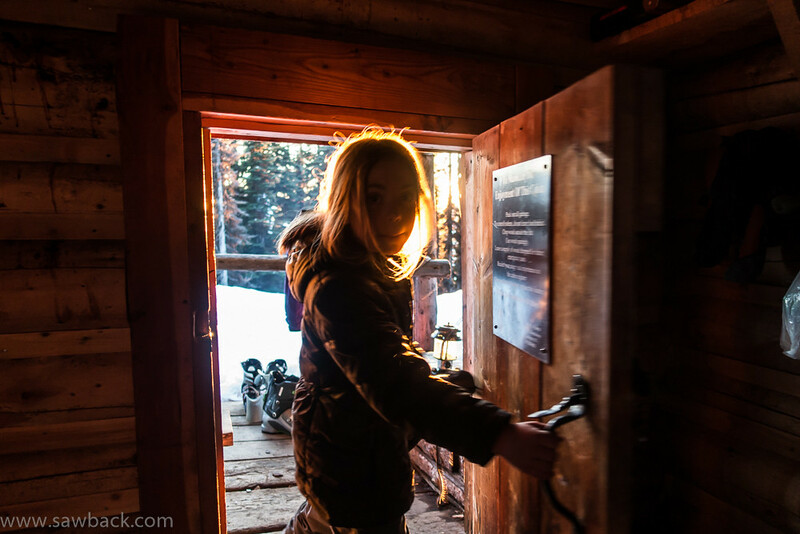 Day 2 – From Steed Hut we make our way along the east side of Siwash Mountain and upper reaches of Eerie Creek towards Copper Mountain Hut. Almost the opposite of our previous night’s abode, Copper is an old log relic built in the early 1980s with a lot of rustic class! Day 3 – The highlight of the Bonnington is the traverse of the ridge between Copper and Empire. 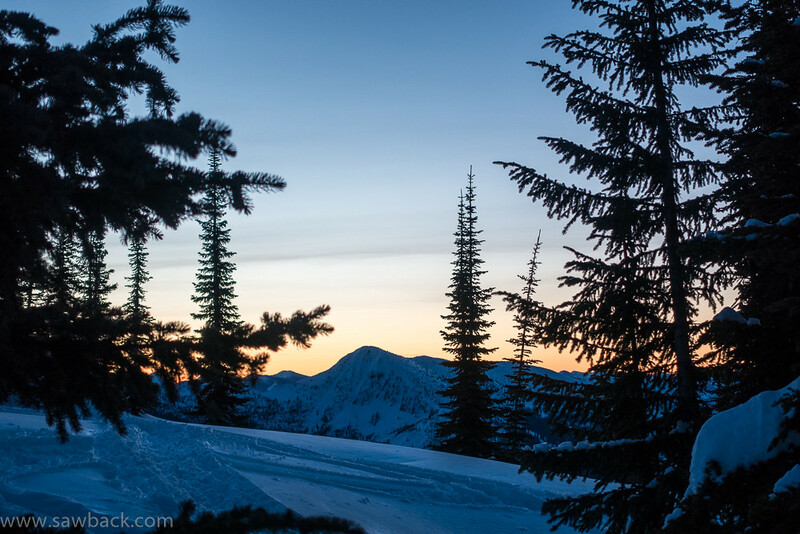 The views are stunning, and the skiing opportunities are absolutely fantastic. The day finishes with a long — but downhill — tour along Barret Creek the road and our shuttle back to Nelson. 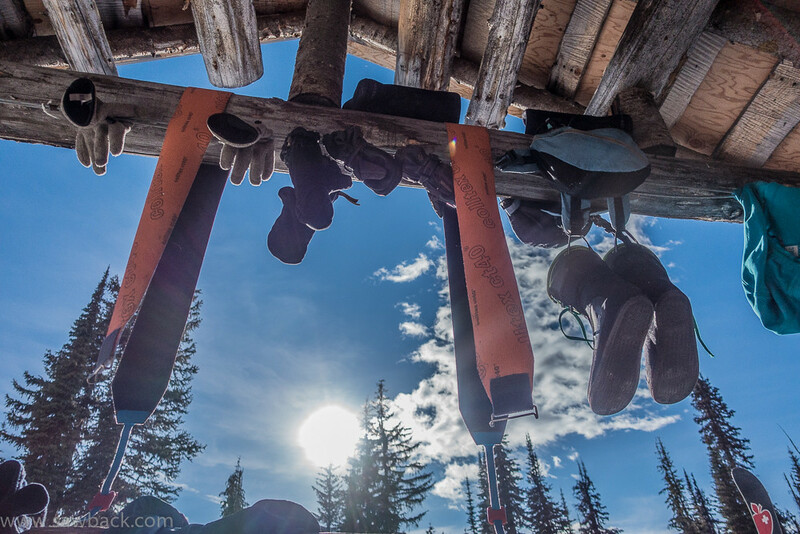 The 4-day trip is exactly the same as the 3-day trip except that we start at the road near Bombi Summit and ski in to the Grassy Hut. The ski is very pleasant and takes us through rolling cutlines and cutblocks up to the ridge connecting with Grassy Mountain and then gently down to the obscure site of the hut. 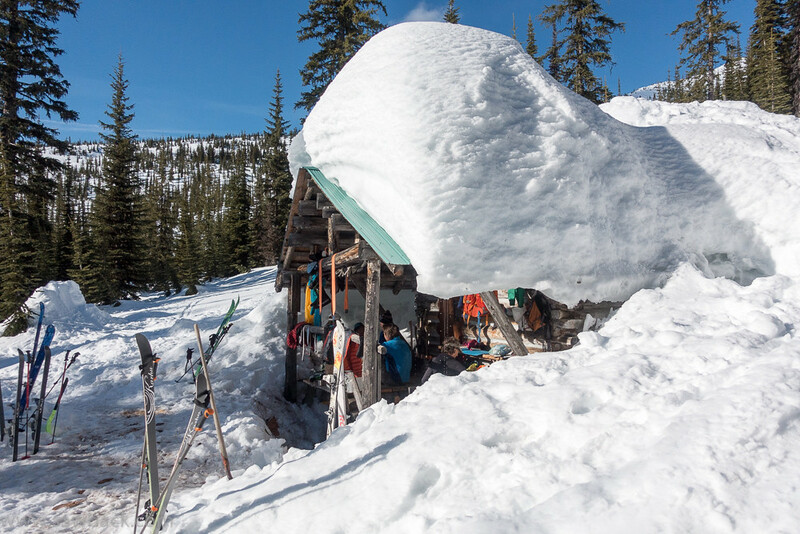 It’s easy to turn this trip into a 5-day trip by adding an extra night at the Steed Hut or by adding the Huckleberry Hut on to the end of the trip. Contact us for details on pricing for this option.